Social media is currently having a 'moment' about the fact that parents can't answer their seven year old children's SATs maths exam. Aside from the politics surrounding the issue of whether we test kids too much, and the revelation that a renegade insider at the UK SATs governing board has leaked the latest examination papers ("I was doing it for the kids”); the fact that parents are admitting they can't answer these maths questions begs a larger question: is numeracy dead? And where does this leave us in terms of making sure our own business adds up? The SATs maths question furore, combined with a recent client meeting pulled in to focus the need to treat our clients' businesses - personally - like our own business. It is arguably more important than ever to ask the smart questions which can connect our work with moving the dial for our clients’ business. Of course we need to think about the business of running an agency that pays our salaries – but thinking about the numbers of our client’s business is also critical. Being aware of the factors at play shaping their profits and operating costs, isn’t mutually exclusive to a killer strategy and tantalising creative idea. When we ask smart questions and probe deeper into clients’ business goals, rather than simply responding to a PR brief, we can offer much more. Thinking commercially, financially - and profitably, is something that offers greater credibility to our discipline and assures clients that we are contributing to their potential success. Naturally I write this with a consumer PR hat on, often misperceived as the fluffier side of our industry, but often times when a client has shared numerical and often sensitive financial data, we have been able to lift the curtain and bring an entrepreneurial mind set to the creative challenge – in some cases bridging into new partnerships and even into new revenue streams. So as a sharpener, when did you last ask these questions to your client? 1. What are your business priorities for the next financial year? 2. How many new consumers are you seeking to reach? 3. What is the current ‘click to buy’ ratio that you want to improve on? 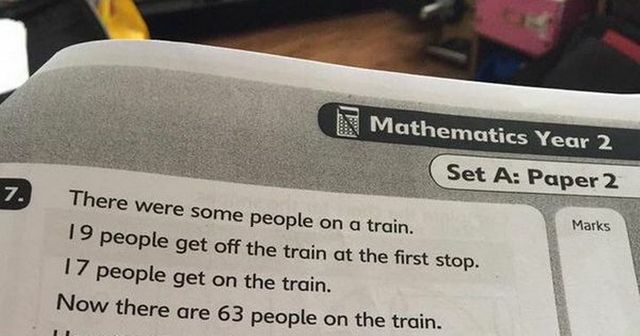 This SATs maths question aimed at seven-year-olds is confusing adults - can you figure it out? @7puzzle https://t.co/QxjFwTefFg This link suggests it is 46. Can't see why!